Three current and former Navy officers were charged in documents unsealed today for their roles in a massive bribery and fraud scheme involving a Navy contractor. Assistant Attorney General Leslie R. Caldwell of the Justice Department’s Criminal Division, U.S. Attorney Laura E. Duffy of the Southern District of California, Acting Director Dermot O’Reilly of the Department of Defense’s Defense Criminal Investigative Service (DCIS), Director Andrew Traver of the Naval Criminal Investigative Service (NCIS) and Director Anita Bales of Defense Contract Audit Agency (DCAA) made the announcement. Retired Navy Captain Michael Brooks, 57, of Fairfax Station, Virginia; Commander Bobby Pitts, 47, of Chesapeake, Virginia; and Lieutenant Commander Gentry Debord, 47, who is based in Singapore, were charged on May 25, 2016, in the Southern District of California. Brooks and Debord were each charged with one count of conspiracy to commit bribery and Pitts was charged with one count of conspiracy to defraud the United States and two counts of obstruction of justice. All of the charges relate to the defendants’ interactions with Leonard Francis, the former CEO of Glenn Defense Marine Asia (GDMA), a defense contracting firm based in Singapore. Brooks and Pitts made their initial appearances today in the U.S. District Court for the Eastern District of Virginia; Debord appeared in U.S. District Court for the Southern District of California. Brooks was allowed to post a $50,000 bond; Pitts was granted a $5,000 bond, ordered to be subject to electronic monitoring and to appear in the Southern District of California on June 10; and Debord was granted a $40,000 bond secured by real property. Debord is scheduled to appear for a preliminary hearing before U.S. Magistrate Judge David Bartick of the Southern District of California on June 9, 2016. According to the indictment, from June 2006 to July 2008, Brooks served as the U.S. Naval Attaché at the U.S. Embassy in Manila, Philippines. 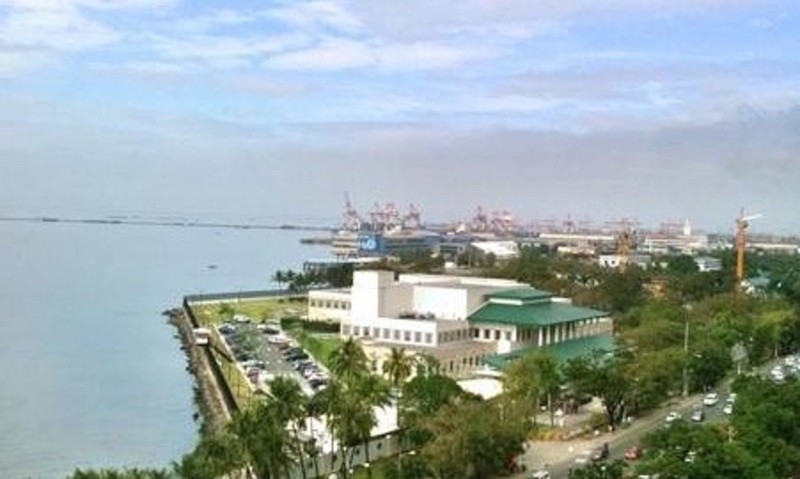 The indictment alleges that in exchange for travel and entertainment expenses, hotel rooms and the services of prostitutes, Brooks used his office to benefit GDMA and Francis, including securinge the quarterly diplomatic clearances for GDMA vessels, which allowed GDMA vessels to transit into and out of the Philippines under the diplomatic clearance of the U.S. Embassy; limited the amount of custom fees and taxes that GDMA was required to pay in the Philippines; and enabled GDMA to avoid inspection of any quantity or type of cargo that it transported. The indictment also alleges that Brooks provided Francis with sensitive Navy information, including billing information belonging to a GDMA competitor and Navy ship schedules. According to the indictment, from August 2009 to May 2011, Pitts was the Officer in Charge of the Navy’s Fleet Industrial Supply Command (FISC), which was charged with meeting the logistical needs of the U.S. Navy’s Seventh Fleet. The indictment alleges that in exchange for entertainment, meals and the services of a prostitute, Pitts used his position with FISC to interfere with NCIS investigations into GDMA. Pitts allegedly provided Francis with a hard copy of an NCIS report detailing an investigation into GDMA for contract fraud marked “for official use only.” According to the indictment, the report detailed NCIS’ investigative steps and witnesses that NCIS had interviewed. The indictment further alleges that in November 2010, Pitts forwarded to a GDMA employee an internal Navy email discussing details of FISC’s efforts to oversee GDMA’s contracts with the U.S. Navy. Including those charged yesterday, 13 individuals have been charged in connection with this scheme; of those, nine have pleaded guilty, including U.S. Navy Captain (Select) Michael Misiewicz, U.S. Navy Capt. Daniel Dusek, Lieutenant Commander Todd Malaki, NCIS Special Agent John Beliveau, Commander Jose Luis Sanchez and U.S. Navy Petty Officer First Class Dan Layug. Former Department of Defense Senior Executive Paul Simpkins awaits trial. On Jan. 21, 2016, Layug was sentenced to 27 months in prison and a $15,000 fine; on Jan. 29, 2016, Malaki was sentenced to 40 months in prison and to pay $15,000 in restitution to the Navy and a $15,000 fine; on March 18, 2016, Alex Wisidagama, a former GDMA employee, was sentenced to 63 months and to pay $34.8 million in restitution to the Navy; on March 25, 2016, Dusek was sentenced to 46 months in prison and to pay $30,000 in restitution to the Navy and a $70,000 fine; and on April 29, 2016, Misiewicz was sentenced to 78 months in prison and to pay a fine of $100,000 and to forfeit $95,000 in proceeds for the scheme. The NCIS, DCIS and DCAA are conducting the ongoing investigation. Assistant Chief Brian R. Young of the Criminal Division’s Fraud Section and Assistant U.S. Attorney Mark W. Pletcher of the Southern District of California are prosecuting the case.